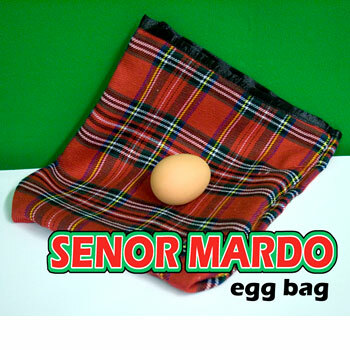 Peter Monticup created an EXTRA online video EXCLUSIVELY for our customers who purchase the Senor Mardo Egg Bag trick! 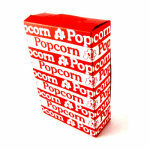 One of the BEST Egg Bags on the market- very deceptive! 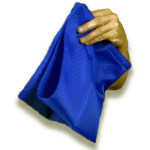 BONUS #1: get the password to the EXCLUSIVE bonus video- see EXACTLY how Monticup handles this great prop! BONUS #2: we'll give you an EGG! 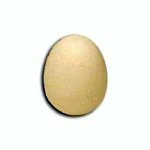 The manufacturer does not supply one, but we will include an egg! 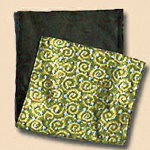 Many routines have been written for the Egg Bag, because there is so much you can do with it. So why is this Egg Bag so special? Not only is the "gimmick" positioned in an easier location, which makes it work more smoothly, but the plaid cloth that it is made from makes this bag ultra deceptive. 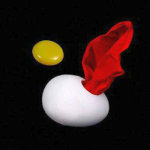 And we even carry sponge foam eggs, if you'd like to really load this one up! 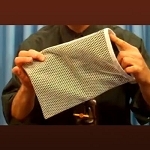 The Sponge Foam Egg mentioned in the demo video is sold here. 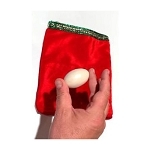 The basic Egg Bag routine goes like this: place an egg into the bag. Turn the bag inside out- the egg is gone! 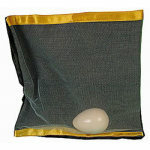 Let the spectator reach into the bag- the egg is back inside the bag! Place the egg into the bag again. Let the spectator reach into the bag- and the egg has vanished! And it is EASY! 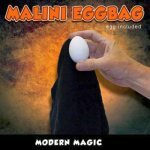 If you can hold the Egg Bag, you can do the trick! 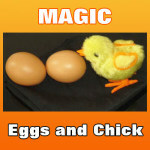 Instead of the egg that we give you with the trick, use your own small ball. You can use any ordinary small rubber ball. Or use one of your sponge balls- first do some sponge ball magic like making the sponge balls multiply, then take one of the sponge balls and do the Egg Bag effect with it. You can weave separate effects together and make one big routine! If the egg seems too heavy for you, you can replace it with either a plastic Easter egg from a crafts store, or you can blow the insides out of a real egg. Many videos and tutorials are available on the Internet showing you how to blow out an egg. I probably have at least 6 egg bags that I have purchased over the years. Different colors, different materials, slightly different ways of making the magic happen etc. But I have finally had the time to play around with your item 90-2149 (Senor Mardo Egg Bag) that I purchased recently and have found it to be just perfect. Thanks for having it available for purchase.